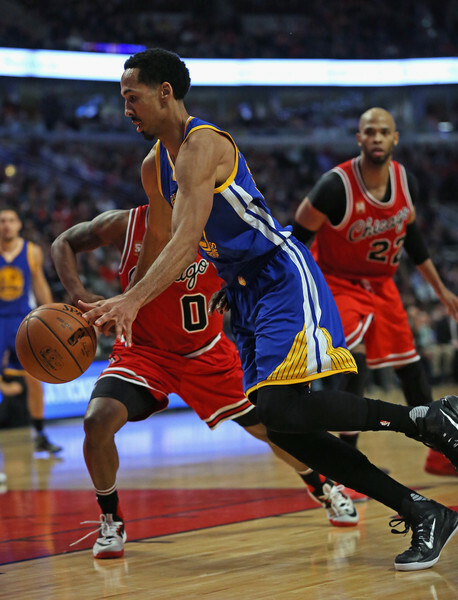 Shaun Livingston #34 of the Golden State Warriors drives past Aaron Brooks #0 of the Chicago Bulls at the United Center on January 20, 2016 in Chicago, Illinois. The Warriors defeated the Bulls 125-94. NOTE TO USER: User expressly acknowledges and agrees that, by downloading and or using the photograph, User is consenting to the terms and conditions of the Getty Images License Agreement.